In a 9x13-inch baking dish, combine the macaroni, tuna, and soup. Mix well, and then top with cheese. 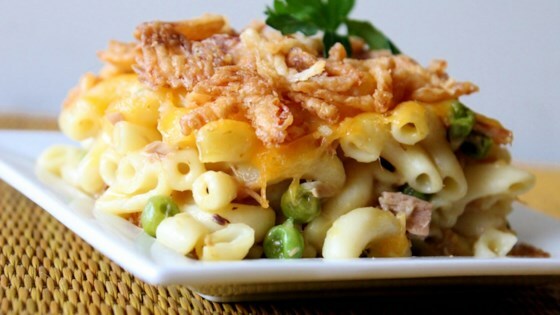 This incredibly simple tuna casserole uses just five ingredients.